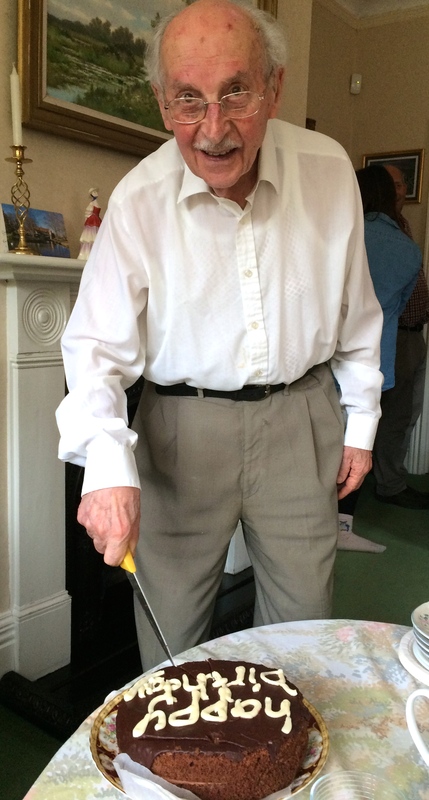 JOE STIRLING 91 YEARS YOUNG TODAY! I can hardly believe it is one year exactly since the very special 90th birthday party held for Joe Stirling at the prestigious Assembly House in Norwich. This year his celebratory party was far more modest, 18 of his close family all together in his home, sharing tea, birthday cake and champagne. I sneaked in at the back with gifts and best wishes and was delighted to find his home alive with loving relatives from all generations. 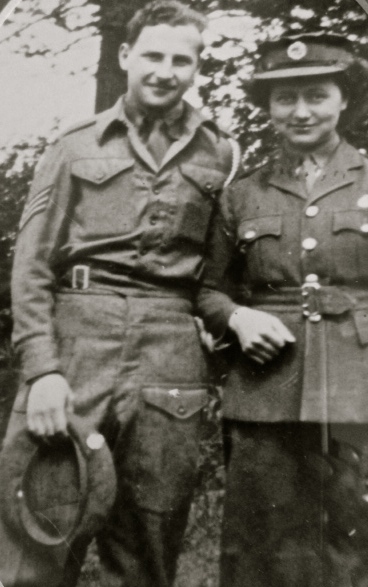 A year on and Joe, the hero of my debut biography, Escaping Hitler: A Jewish Boy’s Quest for Freedom and His Future, is still extremely sprightly, with no loss of his intellect, enthusiasm for life and playful sense of humour. The family were anxious to know the publication date of his book but as yet I can only say it will sometime during January 2016. His daughter Jane confided in me that she will be delighted when the book is out, wherever she goes people ask when they will be able to get hold of a copy! 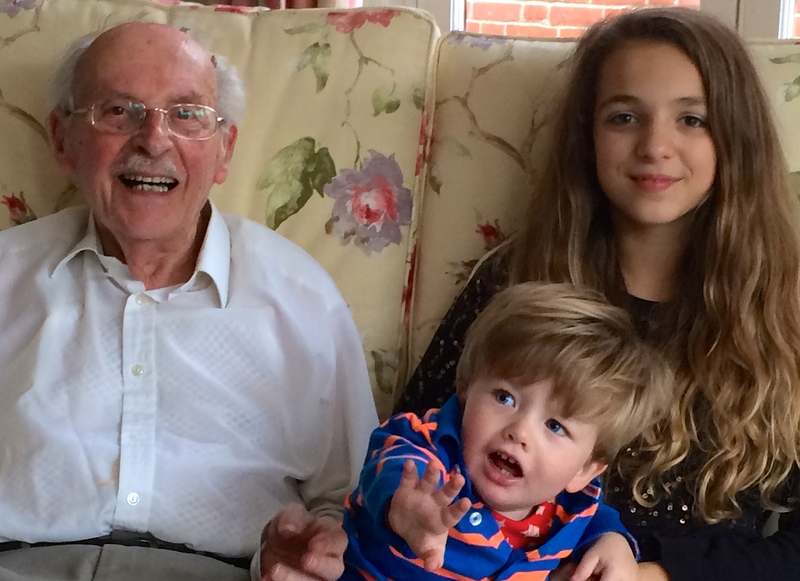 Here are some photos of Joe and his two great-grandchildren, the patriarch and the youngest of the Stirling/Skitmore union, a happy marriage begun in 1946 in Attleborough. Also a photo of Joe cutting his cake. It was wonderful to witness the family celebrating together, the generations from strength to strength, supported by the obvious love and respect amongst them. The boy from Nickenich and the girl from Attleborough did well….